Hand baskets are the perfect answer for small shop purchases. We can provide you with attractive Wanzl designed assets in colourful plastic that can be tailored for your brand. Add a perfectly designed basket holder to keep them looking tidy around your retail environment. Click here to see detailed brochure or click on images below to see examples of some of our most popular baskets. One of Europe’s (and now NZ’s) most popular retail baskets - light, sturdy and ergonomically designed, these come with a variety of handle colours plus space for your brand logo. The big sibling of the GT range, this roller basket combines great volume capacity with ease of handling around the store. 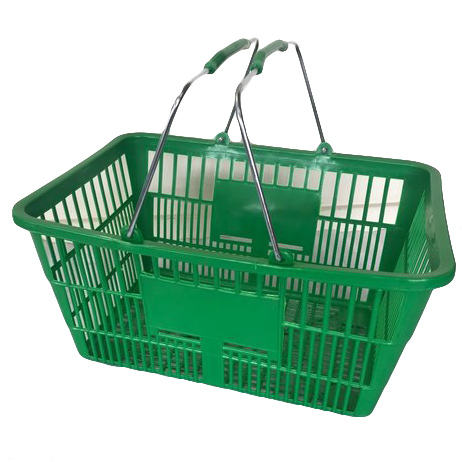 We also offer a range of more economical baskets that come in a range of colours and sizes. We have a variety of Wanzl and NZ Retail stands both static and mobile to keep your baskets in a tidy stack.